Living Without Lawn makes a persuasive argument for growing less lawn, with ideas about how to go about it. 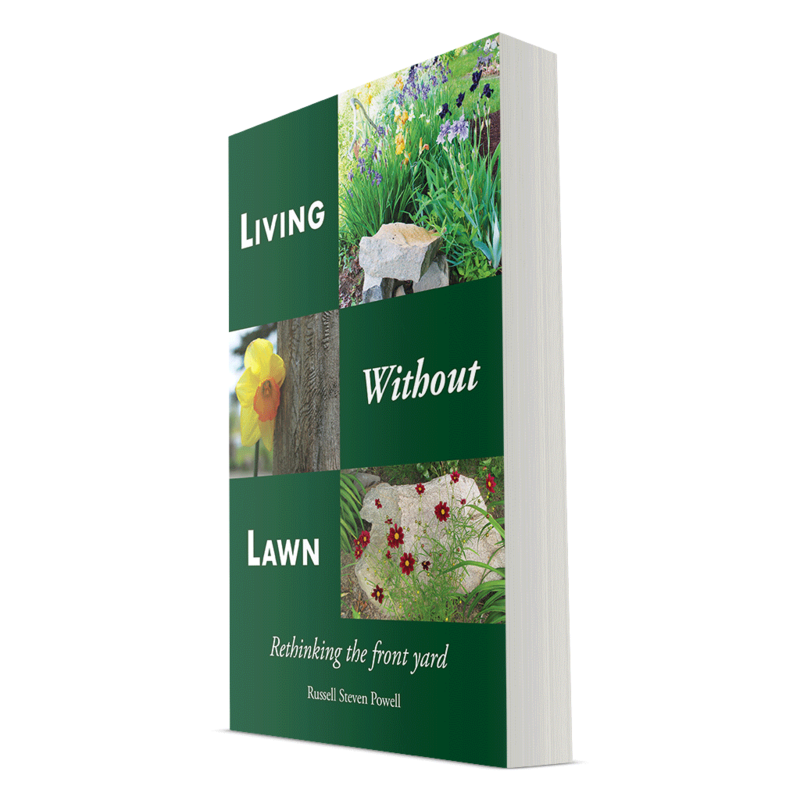 Part manual, part memoir, part meditation, Living Without Lawn makes the case that less lawn is better for the environment and for the health of mind, body, and soul. Author Russell Steven Powell traces his evolution from a lawn devotee to a five-year project to remake his yard in rural western Massachusetts. Working with nature and without gas­-powered machines, he brings his experience as a visual artist to the challenges of garden design.The results have often been astonishing, sometimes surprising, as gardens, sculpture, and stonework have gradually replaced a wide-­open rectangle of lawn.